Football season is beginning, which gives me a nice time for me to agree with all of those who regard NFL overtimes as a mess, and propose my own solution. According to the bad old system, everything started with a coin flip, with the lucky winner getting to determine whether they'd kick off or receive the kick. The first team to score would win, which meant there was a nontrivial advantage in choosing to receive. So coin flips were playing an unduly large role in determining the outcome of the game. Candyland is a fine game for people who want chance to determine outcomes, but I don't want that in pro football. Victory should go to the best athletes with the smartest strategy, not to those who make lucky guesses about gyrating bits of metal. There's a new, more complicated, and probably better system now where you do the coin flip as before and have the lucky winner choose, but each team is guaranteed to be on offense, unless the team that gets the ball first scores a touchdown. I'm not totally sure which team this favors, but I'm sure it'll be figured out in due course. Chris Chase thinks it'll help the team that kicks off and gets the ball second, which seems about right to me. And in any case, we're still in Candyland. Random chance is playing too big a role in determining the outcome. So here's my solution: Determine who gets the ball first by bidding. Have the home team's coach name an even number, and the visiting team's coach name an odd number. The team whose coach bids the lower number gets the ball at their yard line corresponding to that number. So if the home team's coach says 8, and the visitors' coach says 5, the visiting team gets the ball at their own 5. And from there, it's sudden-death overtime, with the first scorer winning. 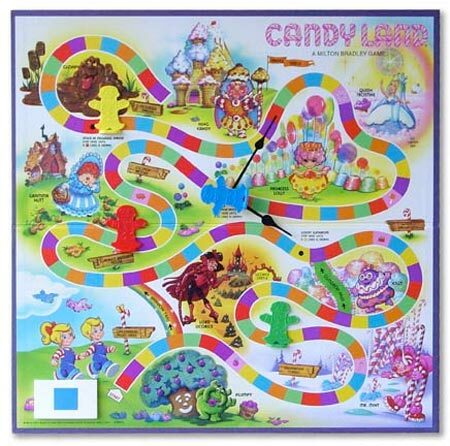 No Candyland, just coaches playing head games against each other, and players taking over from there. Added bonus: I've heard that the league is interested in reducing the number of kickoffs that happen during the game, for the good reason that kickoffs present a lot of injury risk. This solution eliminates overtime kickoffs, and is to be preferred for that reason. Have the home team's coach name an even number, and the visiting team's coach name an odd number. The team whose coach bids the lower number gets the ball at their yard line corresponding to that number. So if the home team's coach says 8, and the visitors' coach says 5, the visiting team gets the ball at their own 5. Maybe I'm not understanding this, but wouldn't the home team coach always bid 2 (assuming 0 isn't an option) and the visiting coach would always bid 1 and therefore the visiting team would always win the bidding? Why not have a sudden death overtime that maintains possession and field position, like the end of the first and third quarters? Gives an advantage to the team that's in a better position at the end of the fourth quarter, but that isn't random and doesn't seem obviously unfair. And yeah, the captcha is horrible. Ron, I'm assuming that at some point it's better to take the field position than the ball. Like: when it's them getting the ball at their 2 vs. you getting it at your 1. There's the possibility of a safety, and the chance of getting better field position if they don't advance too far and they punt. Lots of coaches already play in a manner calculated to cause the least amount of second-guessing by the public, journalists, etc. This system would cause a huge amount of second-guessing every time someone lost an OT game, thus it would be opposed by all but three coaches in the league. It would be way more fun, though. I can see Belichick liking it because he'd be better at it than the other coaches. I'm with Aaron Boyden on this one: if it's tied at the end of regulation, you treat the transition from Q4 to (sudden-death) OT just like the transition from Q3 to Q4 - switch ends of the field, maintain possession, field position, down and distance. This takes OT out of the realm of luck, and into the realm of strategy, which is as it should be. If you think football should be played in the first place, which I'm starting to wonder about, thanks to TNC's grappling with the subject. Oh, and Candy Land is even worse than you describe. Not only is the outcome entirely determined by chance (same is true with, say, Chutes and Ladders), but the outcome is entirely determined from the very beginning of the game, by the order of the cards and the order in which the players take their turns. It's the perfect game for hard-core Calvinists: at least within the rules of the game (no peeking at the deck! ), there's no way to tell in advance whether you're among the elect, but whether you are has already been settled. Yeah, I like to use Candy Land as an example because it's a pure-chance game. Nothing like that in the rest of games. Still it's kind of fun because you get to think about delicious candy. What I dislike about the "treat it like Q3-Q4" proposal is that it eliminates the 'beat the clock' element of game-ending drives in tied games. You can just take your sweet old time, because 0:00 means nothing.